According to blogger and sports commentator Scott McKay of Baton Rouge, U.S. Sen. David Vitter is like the disgraced minister and nationally-famous televanglist Jimmy Swaggart, a man whose fortune and reputation were decimated after being caught multiple times with prostitutes. Swaggart’s reputation never recovered, and though he continues to serve in the ministry at a small church near an enormous compound he had once dreamed of being the home of a global empire, today, those buildings now house hotels, bars, restaurants, and office space. 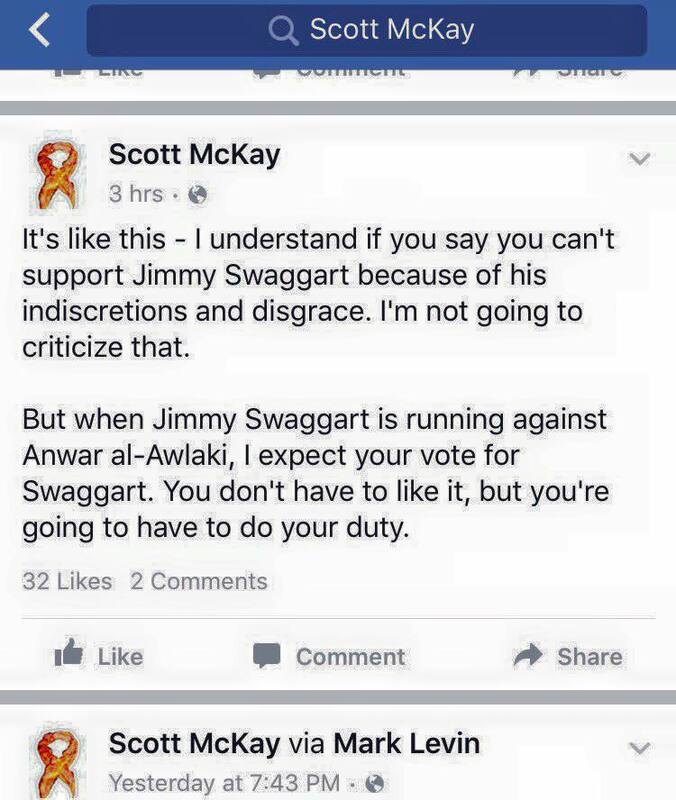 McKay is an incendiary conservative blogger, but he likely intended the comparison between Swaggart and Vitter to be a compliment. The alternative to Vitter/Swaggart is no one other than Anwar al-Maliki, the American-born treasonous terrorist who once served as the mouthpiece for al-Qaeda. In this metaphor, Vitter is the contrite Swaggart, and John Bel Edwards is the terrorist. John Bel Edwards is a veteran, a paratrooper, and a West Point grad, and he absolutely does not deserve the pathetic indignity. As it so happens, McKay’s most prolific donor is David Vitter. That is Scott’s bankroll. Incredible reporting, as usual!!! Please keep up the good work!!! For $1,000 a month Vitter could have hired David Duke himself instead of a Duke wannabe.